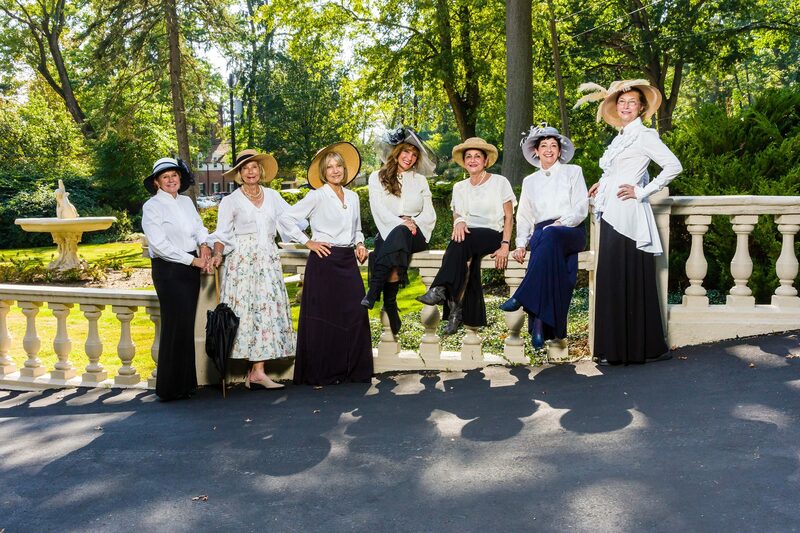 Thank you to Eric Beiter of Highland Photography for capturing the essence of Victorian life on The Culler House grounds. Victorian Christmas Committee ladies enjoy tea time at the soon to open Backhouse Cafe Coffee & Tea. For public awareness and appreciation of fine architectural heritage in the Historic District and Williamsport proper. Any proceeds will be used to further this cause in the form of flower baskets on lamp posts throughout the historic district during the summer and Christmas wreaths and lights in the winter. A rose garden is also planted and maintained at the historic district portal on West Fourth Street. To educate children and instill knowledge and appreciation of Victorian architecture and the importance of its preservation of future generations. Victorian Christmas (and the renaissance of Williamsport’s fabled Millionaire’s Row) all began, appropriately enough, in the historic bar of the Peter Herdic House Restaurant, 407 West Fourth Street, in March 1998. Nan Young, one of the founders of Victorian Christmas, remembers it well. Sisters Gloria and Marcia Miele, then owners of the Peter Herdic House Restaurant and other West Fourth Street mansions, and Edward (Ted) Lyon, Jr., also a Historic District property owner, shared Young’s passion for historic preservation. Sadly, Ted and Marcia have since passed. Energy and enthusiasm spread, as the small group of determined mansion rescuers grew. They added new events to the tours to maintain public intrigue, such as a crafts fair in the gothic gym at Trinity Episcopal Church. Soon, they were joined by Fran Visco, her sisters and mother, who organized a bridal gown fashion show at Park Place. Gown models portrayed well-known Williamsport personalities. Some of the gowns were very old and made of gorgeous silk and satin, recalls Young. 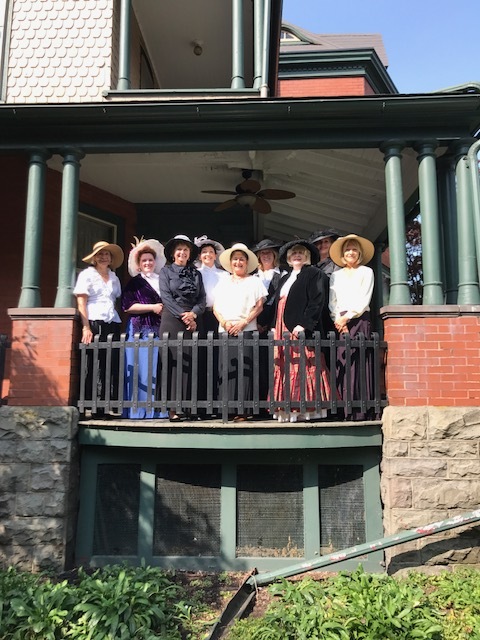 Capitalizing on the success of this show, the group organized more, featuring lovely authentic Victorian clothing and hats and emceed by the mayor and other city dignitaries. As an added attraction, Visco’s family decorated the prettiest tree at Park Place. Proceeds from Victorian Christmas are used to preserve and beautify Historic Williamsport and Millionaires Row. The organization is able to buy, hang and water these flower baskets hung by Lady Di’s Floral & Garden Art. Fire-burned buildings were bought by preservationists. Single families, such as Carlos and Melinda Saldivia, Tim Levan, and Hank and Mary Collings moved to the heart of Millionaire’s Row. Victorian Christmas committee members joined on, adding music, decorations, teas, luncheons, carriage rides, and appearances by Father Christmas in his elegant hand-crafted robes. They received grants from the Pennsylvania Council of the Arts, Lycoming County Visitors’ Bureau, and the Williamsport-Lycoming Foundation to continue and enhance the festivities, which had become a much-anticipated annual event. 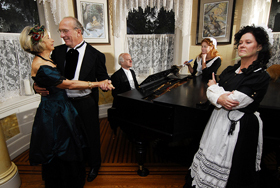 According to Young, “the best celebration of all” occurred when Victorian Magazine featured five of Williamsport’s historic houses in several of its issues. Everyone’s hard work had put Victorian Christmas and Williamsport on the map as a serious Victorian destination. “The first year we gathered our money from the tickets in our muffs and went to the Herdic House to rejoice. 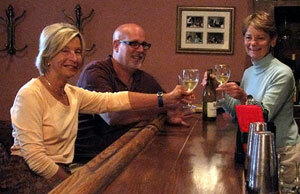 We put the money out to count and toasted each other, we were so pleased,” recounts Young. Although new faces and enthusiasm keep events fresh, the Mieles, Lyon, and Young are to be applauded for continuing to carefully tend the bright flame of preservation that has its roots in Victorian Christmas.